The Quietus | Radio & Podcasts | Glam Racket: A Quietus Hour Special With Simon Reynolds! Glam Racket: A Quietus Hour Special With Simon Reynolds! 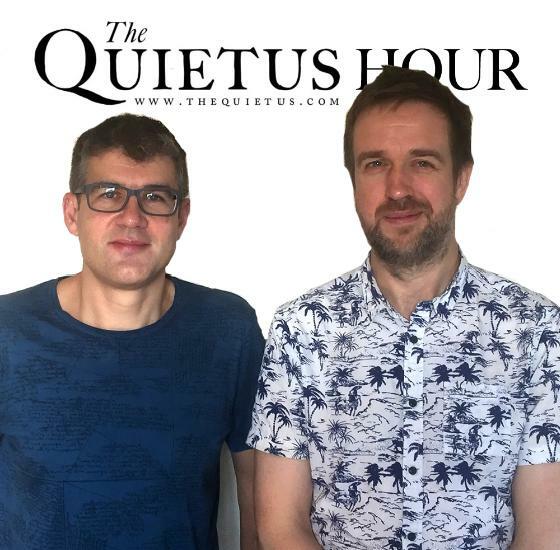 Simon Reynolds is generally held to be one of the world's best music writers - not least by us at the Quietus - so we're very happy that he's the special guest on our radio show/ podcast this week. Following on from such great books as Energy Flash and Rip It Up And Start Again he has written Shock And Awe: Glam Rock And It's Legacy which is out tomorrow (Thursday) on Faber & Faber. Simon joined John Doran at tQHQ yesterday morning for a breakfast chat about the genre - a chat which turned out to be very enjoyable and informative despite the very early hour occasionally playing havoc with the presenter's higher brain functionality. (Who the hell is Oliver Wilde when he's at home?) The former Melody Maker heavyweight, who now lives and works in the US, selected all the music for the show - a mix of deep cuts by famous bands, all out bangers and junk shop glam rarities; and the pair discussed such artists as David Bowie, Gary Glitter, Suzi Quatro, Lady Gaga, Marc Bolan, Japan and Roxy Music, as well as class, gender and Brian Eno's collapsed lung. You can pre-order the book here, or just nip down your local independent shop for a copy tomorrow.